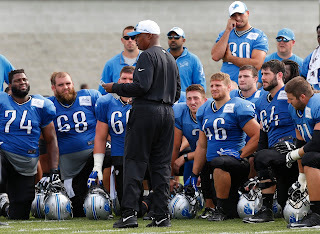 If you missed today's chat on the Detroit Lions check out the transcript here. 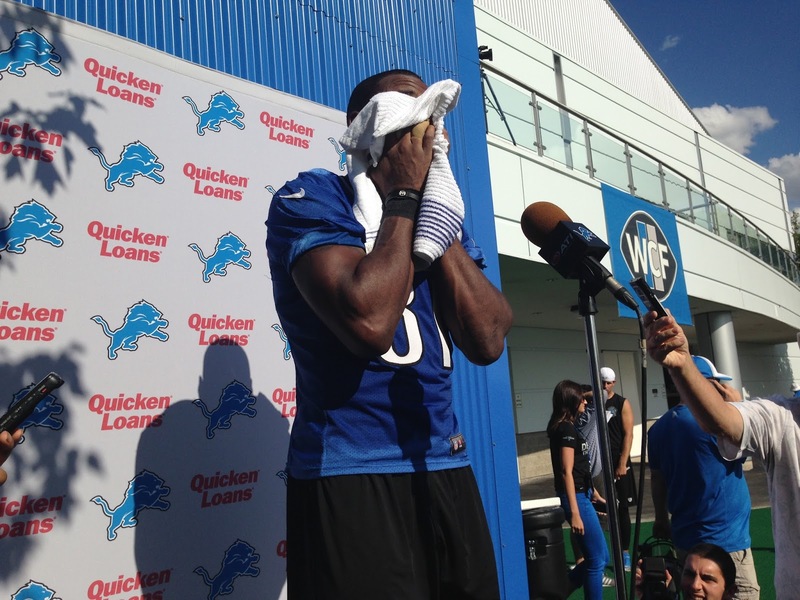 We talked a ton about Zach Zenner's chances, Ryan Broyles and Corey Fuller too. Also we discussed the Lions' chances in the NFC North. It was a good chat. The Lions will play the Jaguars on Friday in Jacksonville. Many of the starters are expected to play the entire first half. 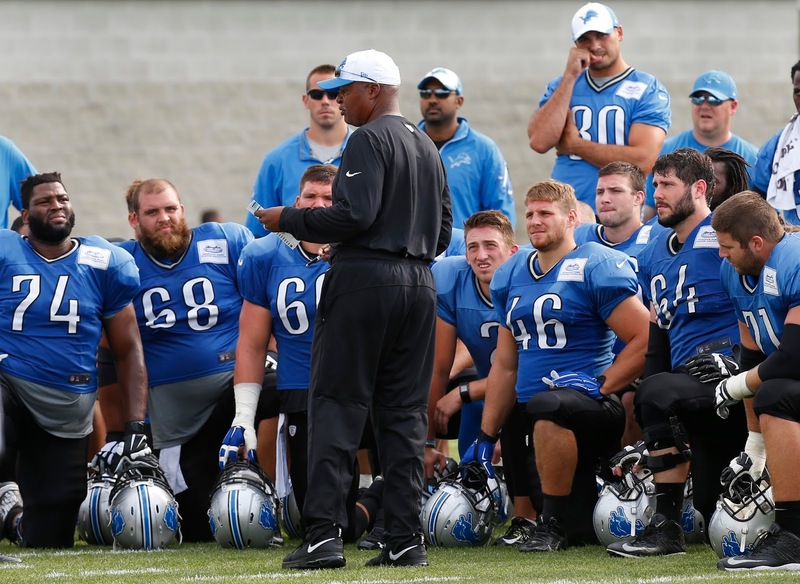 If you missed today's chat on the Detroit Lions, check out the transcript here. 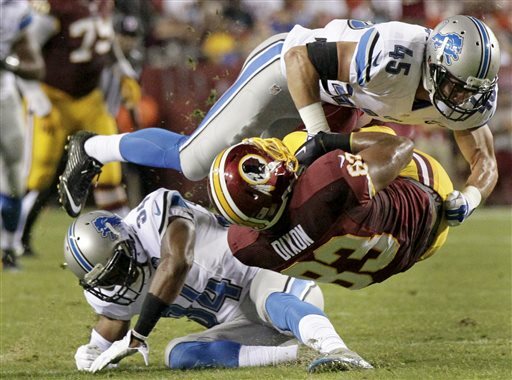 The Lions will play their second preseason game tonight (Thursday) when they'll face the Washington Redskins at FedEx Field. Kickoff is 7:30 p.m.
You might have heard Redskins' Robert Griffin III say this week he thinks he's the best quarterback in the NFL. Lions cornerback Rashean Mathis said it's nothing personal against the Lions, but look for the secondary to be fired up anyway. 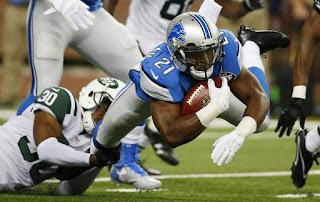 Nate Burleson, who keeps a close eye on the Detroit Lions, likes what he sees from running back Ameer Abdullah. Really, who doesn’t? The former Lions wide receiver shared his thoughts on the NFL Network’s "NFL Total Access'' on Monday night. Burleson had a good view of Abdullah, the Lions’ second-round pick, because he was a television color analyst for the Detroit call of the preseason game. 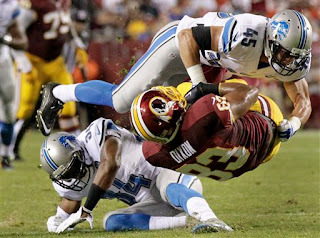 Burleson will also be in the booth on Thursday night with Matt Shepard and Rob Rubick for the Lions second preseason game at the Washington Redskins. It will air at 7:30 p.m. on WJBK-TV FOX 2. Sports Illustrated’s Peter King, who writes at MMQB.si.com, visited Detroit training camp last week and saw what I’ve seen all spring and through the first weeks of camp. Now he has high praise for the Detroit Lions and thinks they could be the NFC’s surprise team. He’s also changed his mind about Suh. Weeks/months ago he didn’t think the Lions could handle Suh’s loss. He also talked to Stafford about the Packers. Good stuff. Always interesting to get the perspective of a veteran writer who has been to several training camps. 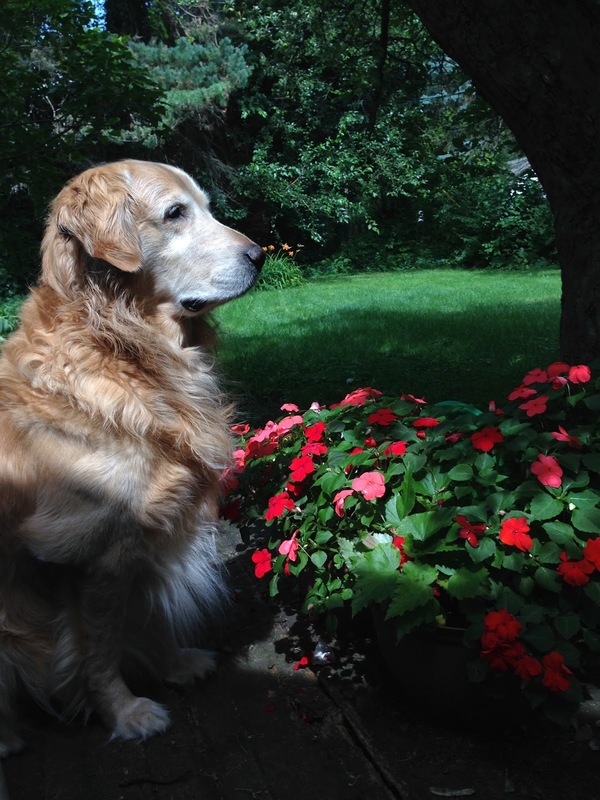 King is a good guy too — known for his love of golden retrievers. So when he stopped in the media work room that day I showed him photos of my golden Brady who I adopted 11 months ago after my neighbor found him sitting in a park. Honestly, he sat down and wanted to hear the whole story. I guess it’s better to talk about Brady the golden than Brady and Deflategate. When the Lions opened their preseason schedule with a 23-3 win over the N.Y. Jets on Thursday, we got a glimpse at the possibilities for this season. 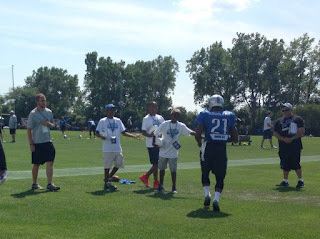 Ameer Abdullah is the real deal. We’d seen flashes at training camp, but in pads and against another opponent, Abdullah had a jaw-dropping 45-yard run. Where did he get those moves? Afterward he said he was excited to get into his first NFL game even though it was preseason. He also thanked the offensive line and the receivers for their blocks. Two things: His runs were against the Jets’ defense and it’s too early to draw comparisons to Barry Sanders, a Hall of Famer. Caraun Reid made his case to start at defensive tackle. It’s tough to judge defensive and offensive lines until they see game action. He passed. His half a sack (he could have gotten there on his own) was impressive. He is not Ndamukong Suh but his play can help people forget about losing Suh. Laken Tomlinson didn’t start at left guard but was solid once he got in. 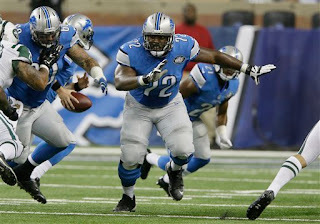 Right guard Larry Warford was impressed especially when Tomlinson “destroyed” a defensive end. It’s a tight competition with Manny Ramirez and is fun to watch. These coaches don’t hand out starting jobs based on draft position. Special teams is blocking better on returns than last season which was an issue. Jeremy Ross started it with a 26-yard kickoff return. 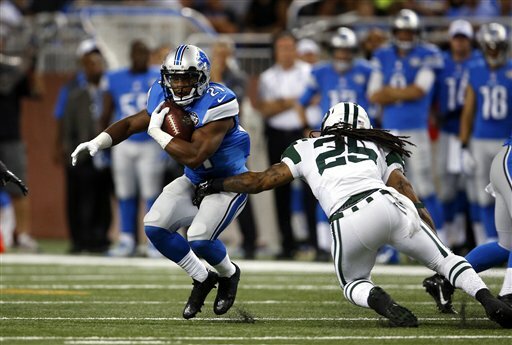 Abdullah had one for 25 yards and TJ Jones had three solid punt returns. Wide receiver Greg Salas’ five catches for 92 yards was impressive even though against the third-team defense. He’s got to be in conversation for that final wide receiver spot. 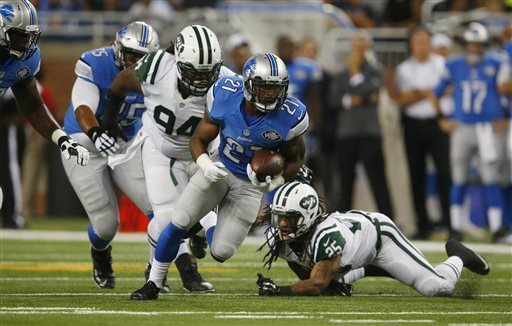 DETROIT — Veteran cornerback Rashean Mathis will not play in the Lions preseason opener tonight against the N.Y. Jets at Ford Field. Mathis has been practicing. It’s unknown if he’s injured. He could be sitting out just because he’s a veteran and the Lions want to give the younger corners a chance. Nevin Lawson, entering his second season, will start in his place. Other inactives for the Lions include Joique Bell, LaAdrian Waddle, Jason Jones and Haloti Ngata. The four of them are coming off injuries and have not participated in training camp. 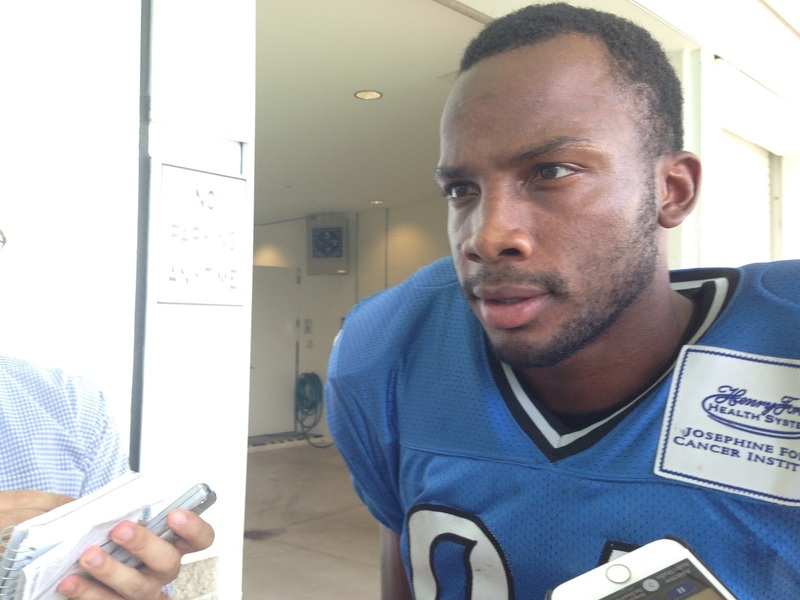 Ryan Broyles, who did not practice on Monday or Tuesday with an undisclosed injury, is active. He said on Tuesday he would play. According to the game notes, no surprises among the starters. Manny Ramirez will start at left guard, Cornelius Lucas at right tackle. Inactives for the Jets: Geno Smith, T.J. Graham, Chris Owusu, Dee Milliner, Curtis Brown, Steve Maneri, Devin Smith and Muhammad Wilkerson. Ryan Fitzpatrick will start at quarterback. Join me for a live chat discussing the Detroit Lions at 3 p.m. on Thursday. That's just four and a half hours before their preseason opener against the N.Y. Jets at Ford Field. It's been a fairly routine training camp so far, but still plenty of position battles are ongoing. It’s always curious to see television ratings for Detroit Lions’ preseason games. We’ll get the first numbers after Thursday’s preseason opener against the Jets at Ford Field. 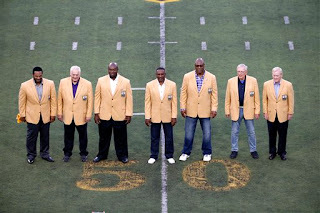 Look, I know the NFL is popular, but even I was shocked at the ratings numbers for the Hall of Fame game on Sunday night with the Vikings against the Steelers. The 6.9 overnight rating was astronomical. Adrian Peterson and Ben Roethlisberger were not even playing. According to Pro Football Talk, that 6.9 overnight rating was higher than Game 6 of the Stanley Cup Final; the Indy 500;, Game 1 of both the American League and National League Championship Series; and Game 1 of both the NBA Eastern and Western Conference finals. Think about it. That is amazing. No doubt about it, the NFL is king. If you missed the chat discussing the Detroit Lions on Thursday, check out the transcript here. We discussed position battles at training camp, players who need to step up and much more. ALLEN PARK — Cornerback Mohammed Seisay has been traded from the Detroit Lions to the Seattle Seahawks for a sixth-round 2016 draft pick, according to Rob Rang of CBSsports.com. 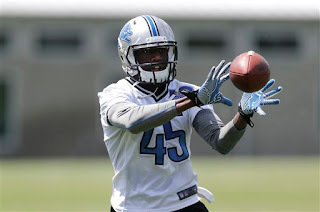 Seisay was undrafted in 2014, made the practice squad out of training camp and then landed a spot on the 53-man roster in September after the team lost Bill Bentley and Nevin Lawson for the season with injuries. The 6-foot-1, 200-pound corner played in 13 games and had five tackles. The Lions have plenty of cornerbacks heading into training camp on Monday. They drafted two — Alex Carter and Quandre Diggs. Also, they signed two veteran corners in Josh Wilson and Chris Owens.